Get a combination of lateral support, comfortable linings and a versatile wheel setup with the Rollerblade Maxxum 90 Inline Skates. The Maxxum 90 features a vented, molded hard shell that will provide plenty of support, that is paired with a Premium liner with V-cut and shock absorber that will ensure comfort in all your skating activities. You will get secure comfort and performance with the Rollerblade Maxxum 90 skates thanks to the extruded aluminum frame that can fit up to 90mm wheels that allows excellent power transfer and stability. These skates come with the 90mm Hydrogen wheels that will give you a fast, smooth roll that you will love. a different color should be awesome i had that color in other brand!! Q: I'm a guy with small feet (size 6, maybe 6.5 since I've got a wider foot). Does this shoe come in a size 6, or is 7 as low as it goes? Thanks. A: Rollerblade does recommend going a full size bigger in this skate due to the fit so the size 7 may work well for you. I personally went with my shoe size in this skate as I prefer a very tight performance fit, but I don't have a wide foot and have more of a standard foot shape. I can see someone with a wide foot needing a larger size in this and then most likely needing to add a heel lift to pull the foot up in the boot to alleviate some of the side to side pressure as this skate is fairly tight. We don't have this skate in a smaller size and it's a past season model now so likely could not order it but you can always contact customer service and they can look into that for you. The current model is the maxxum edge 90 and we could order it. Q: Hi I bought the Maxxum 90. They are really good skates, really love them. Unfortunately I had a wipe out and fell pretty hard. I damaged the lower plastic strap which go around the foot on both boots. Is there any chance I can order new straps and install them. A: The lower 45 is replaceable using only a screwdriver, we don't currently stock the replacement parts but can order from Rollerblade if you contact our customer service. You should also be able to order this part directly from Rollerblade. Q: i'm a size 9 in women's and when i usually go to the skating rink and wear rentals.. i wear an 8 for a snug fit for better performance and comfort. with these skates, should i go with an 8.5 or 9? 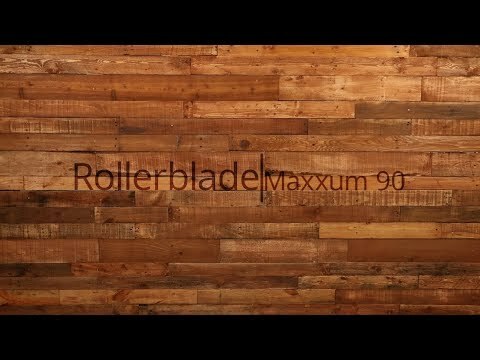 A: Rollerblade recommends dropping a full size in the Maxxum series of skates so with that you'd want to go with the size 9 since in men's skates you would want to drop to the size 8 in most skates but then take into account the Rollerblade guidelines of adding a full size and boom you're right back at the size 9. A: Yes, the Maxxum 90 has great ankle support. I skate on these and the support is really stiff and makes them very responsive. These can be worn indoors for sure. A: Hey, K, Chris again, I answered your last question. 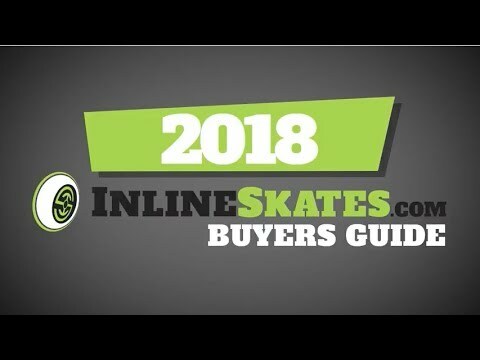 We just updated the Rollerblade size chart and they actually list that skaters should take the Maxxum series a full size larger than their shoe size so in that case this men's Maxxum skate you could take in the size 9 just like your shoe since that would equate the drop in size since it is a men's skate. Hopefully this doesn't further confuse. You can view the size chart by clicking on the size chart link below the listed sizes on the page. Q: I am a female size 9 shoe. Wondering if I can buy this men's style and it will work fine for me ??? A: Yeah, you could size down to the 8 or 8.5 depending on the fit you desire. There are some similar women's specific models in the Twisted Edge and Twister 80 models but there is not currently a 90mm offering in the women's urban department from Rollerblade. Q: I wear a size 11 in men's boots will I good with a size 11 in these maxxum 90 inline skates or should I go a half size bigger? A: I don't personally recommend going big in skates and would recommend that you go with the size 11. You want a snug fit in skates to get the most power transfer when skating, and going too large can lead to sore feet and blisters. The Maxxum skates are going to fit snug right out of the box and will take some time to break in. I skate with the Maxxum 84's and they took me a good 6 times skating in them for them to feel broken in to my feet.